HMNZS ROTOITI will arrive home to the Devonport Naval Base this Friday 24 April – berthing at 2:30 pm. To view ROTOITI, there are several vantage points as she enters the Hauraki Gulf and Waitemata Harbour; in particular, North Head, Torpedo Bay, Mission Bay, Bastion Point, Mt Victoria and the Devonport Wharf. The homeport for HMNZS ROTOITI is Napier and her Lady Sponsor is Her Worship the Mayor of Napier, Barbara Arnott – this homeport affiliation reflects the special relationship with the Navy that stretches back to the 1931 earthquake. 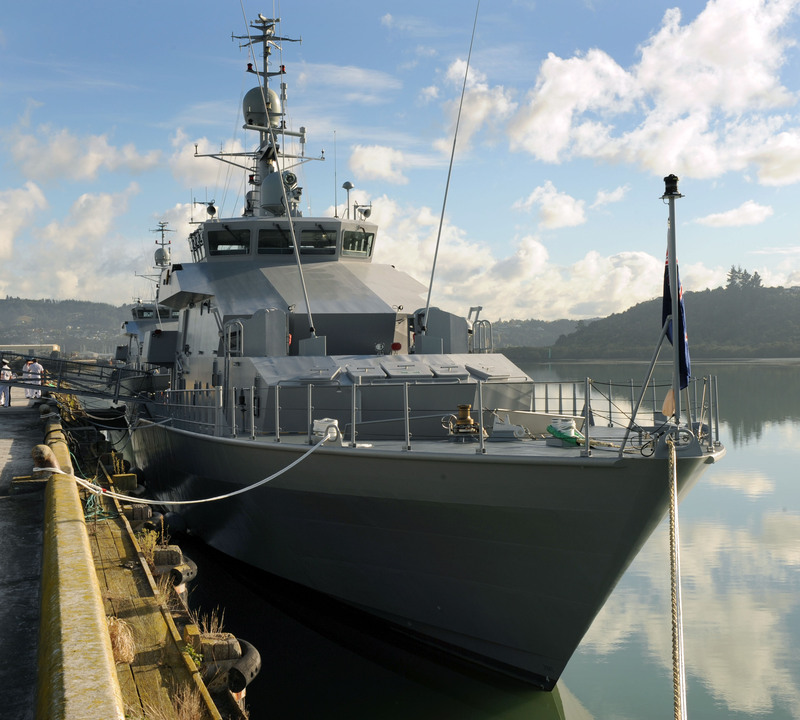 Members of the public are warmly encouraged to observe the historic homecoming of the first of the four In Shore Patrol Vessels, HMNZS ROTOITI, and help to welcome her home to the Devonport Naval Base. Onboard HMNZS ROTOITI, the Commanding Officer is a Devonport man Lieutenant Alistair McHaffie – a former student of Takapuna Grammar School and son of Rear Admiral Peter Mchaffie a former Chief of Naval Staff.